Boiler Guide has launched a brand new comparison tool to help you find the perfect boiler cover package and supplier. If you’re worried about the cost and stress of an unexpected boiler repair, then boiler cover is the perfect solution. It can also give you peace of mind that if your boiler does breakdown an engineer will be on hand to fix it quickly, so you won’t be left in the cold. Many boiler cover packages also include an annual boiler service in the price, whilst more comprehensive options may also feature cover for things like boiler controls and plumbing. Boiler Guide has included a range of options, from the very basic cover which is perfect for cost conscious homeowners, to some of the most comprehensive packages on the market. 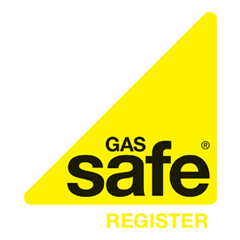 The comparison tool features boiler cover packages from British Gas, Scottish Power and 24|7 Home Rescue amongst others. Not only does it show the standard prices offered by each supplier, but also special offers and discounts, to make sure you get the best deal available. Choosing an insurance product can be tricky, especially when it comes to deciding on the level of excess. This is made straightforward on the new Boiler Guide tool – simply use the slider to choose how much you are willing to spend, or filter from cheapest to most expensive. Once you spot a package which is the right fit for your home, click View Plan to see the full details. The best part is that you can go straight to the provider’s website once you’re happy with your selection – we won’t ask for any personal information and you can see the results instantly.